Hoi An plans to extend its walking streets to Hoang Dieu and Hoi An market – outside of the original old quarter. Vietnam’s World Heritage town, Hoi An, will extend its walking streets to create more space for tourists and to ease the congestion in the historic quarter. The walking streets will be extended to Hoang Dieu and Hoi An market – outside of the original old quarter. Vice chairman of the city's People Committee, Nguyen Van Son, was quoted saying the pedestrian area, which was established in 2002, has been congested with tourists and created a burden on traffic, trading, shopping and tourism services. "Over the last 15 years, cultural tourism products have made the unique travel brand of Hoi An ancient town. The current space is too small, it needs to extend to diversify the tourism products as well as to stretch tourists density in the west of the old town which has created an overload for years to the east. 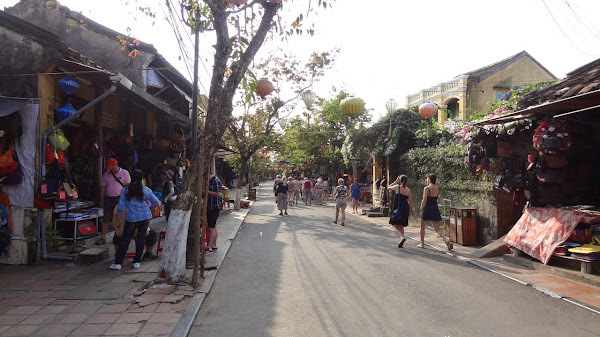 We are proposing to extend the walking streets to Phan Boi Chau street because it has a very typical French architecture, meanwhile putting the Hoi An market and a nightlife section down there. 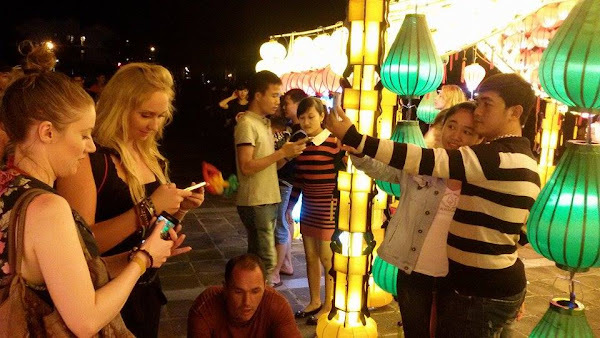 The city assigned Hoi An market as a cuisine centre a night market and streets around as the pedestrian area only.” said the Manager of Hoi An Culture & Sport Center. Walking streets start from 08:00 to 11:00 in the morning and from 15:00 till 22:00. Vehicles are allowed to access the area for just four hours in the daytime and late at night to serve the shops and commercial establishments. Last year, Hoi An, designated Nguyen Phuc Chu street in the south of the Hoai River next to Hoi An Statue Park and Nguyen Hoang night market as the pedestrian areas which attracts a large number of tourists with cultural and art performances, traditional folk games and a shopping area. The city plans to promote bicycle use among public agencies, as well as boost bicycle use among local residents, with a goal of 100,000 local bicycles in use. Hoai River and its channels made the list of the 10 most famous canals in the world on the US-based travel website touropia.com in 2014. A survey showed 27 percent of international tourists visit the city to learn about the culture and history of Hoi An, the My Son Sanctuary, and the Cham Islands Biosphere Reserve.